Peace Mafia Youth Coalition – Redemption Outreach Service Inc.
Redemption Outreach Services Incorporated, offers a youth development initiative ,though our, Peace Mafia Youth Coalition Program( PMYC). This program includes, strategically planned, age appropriate, knowledge based workshops, activity based learning tools, and real life simulations, to assure our youths not only acquire the skills but retain them, and are able to apply them in their everyday life. Since High School is the first major accomplishment, our program will map and record a certificate of achievement for each skilled based courses. Our PMYC program, encompasses a accumulative point, award and reward system, that allows us to track progress, build credentials and other such accolades, that will be developed into a portfolio, of achievements, through the course of the program. The PMYC program, will aim our focus on infusing what it takes to become tomorrows’ leaders and success, through our workshop training modules, and incorporate five key areas and their components. Our goal is to reassure all participants by helping them get ahead mentally, while also helping them understand the power of choice. This training will show them how to utilize that power effectively which initiates “Self-Identity” and builds confidence. This in it self promotes self positivity, which will transition into future success, wealth, and prosperity. Peace Mafia Youth Coalition, has a signature leadership development curriculum, that targets basic leadership skills and concepts, though training works shops and simulated activities. PMYC is a twelve mouth program, that incorporates activities to introduce leadership skills and concepts through exercises and interaction, that provides the frame work for leadership throughout the course of our program. PMYC will participate in other youth based programs and activities offered by similar, like minded organizations in Indiana ,sharing in the same goal and mission. This will allow our youths an opportunity to apply by displaying leadership hands at schools, other establishment, and in the community. Peace Mafia Youth Coalitions’ creativity and talent curriculum begin with our signature, youth profile process, which consist of a questioner to be completed by the youth participant , parent and a trained staff professionals’ observation. This will allow PMYC to gain knowledge of the strengths , weaknesses, interest and possibly untapped talent and potential. The goal from this is to create that youths’ Personal Success Plan and nurture these talents through support and guided workshops or state wide contests. PMYC will host an array of talent based contest such as creative writing, art, dance and music to promote key factors, such as the reward that comes of hard work, dedication and commitment. This will also build confidence, display individuality and creativity. PMYC will host a Monthly Show Case designed to display a skilled learned or to be the platform for one of our contest submissions. PMYC will host a Sport and Fitness program to nurture athletetic talent and an overall healthy life style through nutrition and fitness. Since computer and technology is the wave of the future. Our youths are a part of the Generation X, it is important to aid them in this key element. PMYC will offer computer and technology training. PMYC will focus on developing an interest through our signature Web based initiative, designed to promote technology and interaction through social media tools, Face book, Twitter, Blogs and the Website itself. Our website will display contest submission information , open forums, for weekly dialog on an age appropriate topic , and is where we will praise and display a Biography piece on all contest Bronze, Gold and Platinum winners or a nominated Un Song Hero winner that displayed or made a positive impact at home, school or in the community. Peace Mafia Youth Coalition will teach the importance of Education and it’s direct impact on the level of one’s success with age appropriate activities. This curriculum offers, career building through life coaching and coping skills. PMYC will place the importance of education through guided work shops focused on finance, communication, writing skills and tutoring in Math English. The program will host campus field trips, and an overall path to college that leads through the appropriate High School class selection that complements, their career path, tracking their grades, and workshop design to help with tasks like, enrolling in college, applying scholarships and financial aid. PMYC ,will have not only a mentorship program of support but will have a host of successful and professional motivational speaker to promote their success. PMYC, will have guide workshop to teach all facets involved with work force development to the age appropriate youths. PMYC, will host a network of Apprenticeship Program here in Indiana to assure that our youths, if not College bound, will be job ready, with an obtained certifications through one of the Apprenticeship program offered here in Indiana. 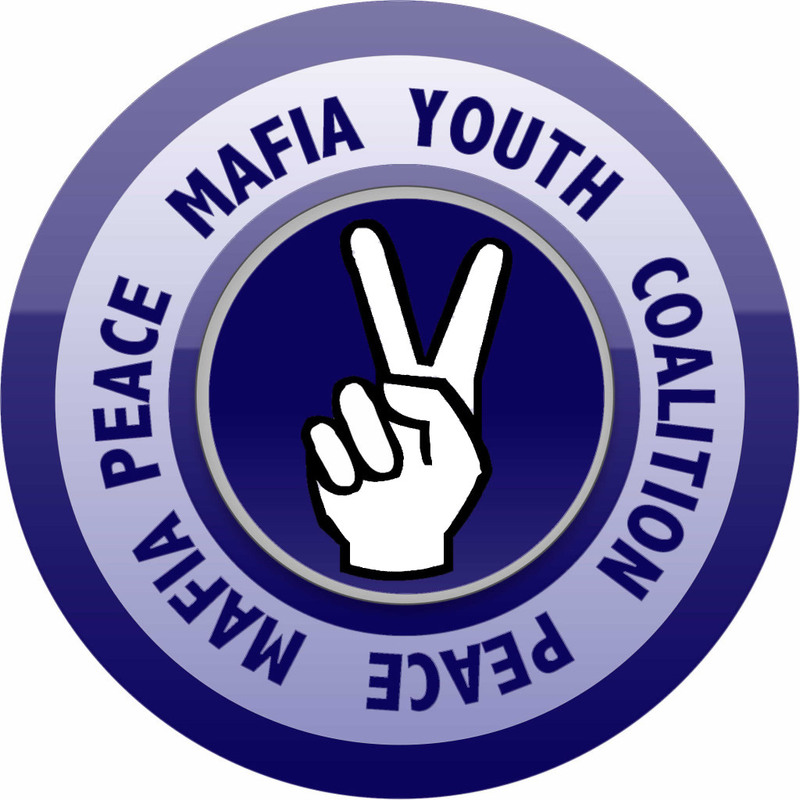 WHY PEACE MAFIA YOUTH COALITION (PMYC) ? PEACE – The absence of hostility, an agreement or treaty to end hostilities, harmonious relations, public security and order, an inner contentment and serenity. MAFIA – A group or organization with a common code of conduct who has a particular organizational structure and ranking system, respected in the community, and loyalty is important. YOUTH – Juveniles or young people of our communities. COALITION – An alliance, a combination into one body, a union or merging into one mass. PMYC’S three tiered program offers clinical support, health / fitness and success fundamental youth development. I. NURTURING THE MIND: clinical support by trained psychologist that will inspire and power through group therapy setting mentoring life coaching with coping skill training and support. II. NURTURING THE BODY: our health and fitness program is designed by and for professional athletes or those striving to be. These cutting edge techniques will be administered by a professional trainers or athletes. III. NURTURING THE HEART AND SOUL: Though proven success fundamentals activity based learning tools and hands on simulation to infuse creativity, communication, financial literacy and activism. We mediate peace. Please contact ROSI with your community concern or personal conflict issue. We want to help.